The Indian River Lagoon is an estuary found along the east coast of Florida. This extensive and extremely diverse ecosystem is a critical part of the wildlife that Florida is known for. As it is used as a recreational and commercial site, the lagoon has battled pollution and loss of diversity for many years. Real estate sales have increased along the lagoon, generating around $825 million in revenue, but also adding a source of pollution to the lagoon, especially with lawn fertilizer. Growing up in this tropical environment, I have first-hand experience with the pollution. I first remember the pollution in 2016, even though it had begun long ago. Starting in 2016, Florida governor Rick Scott declared a state of emergency due to the harmful algae blooms found throughout the Indian River Lagoon. These thick blankets of toxic algae developed from the planned discharges of Lake Okeechobee into the Indian River Lagoon areas. The dumping of 2-3 billion gallons of lake water per day included nutrients that shifted the natural nutrient content, while altering the salinity of the water. A total of 150 billion gallons were dumped into the lagoon. Known to have been growing in the lake, these colonies of algae have thrived in the warm waters of the lagoon. No organism is safe from this toxic algae, as it has affected human, plant, and animal life. The least-threatening cases of this toxin from ingestion or inhalation include vomiting, nausea, rash, or hay fever symptoms. Drinking water from the lagoon can cause long-term liver disease or trigger deadly neurological disorders such as Alzheimer’s or Parkinson’s. The blooms themselves smother lagoon plants and animals from sunlight and oxygen, therefore killing them in mass numbers. Wanting to learn more about the cause of this sudden disaster, I based a science fair project on this toxic algae. I wanted to know if the level of fertilizer affected the growth of phytoplankton. Phytoplankton is an organism imperative for life, as it is a food source for many creatures as well as generates most of the oxygen we breathe, as a producer. Although we think of phytoplankton as “good” and “helpful,” sometimes in times of rapid growth, it can cause algal blooms. I tested water from an area of the lagoon with still water and where the population of humans was high. Using different levels of standard, backyard fertilizer, I worked with a scientist from Harbor Branch Oceanographic Institution to inoculate the phytoplankton and then let the cultures grow for a few weeks. The fertilizer would contain the minerals possibly found from the runoff of Lake Okeechobee. The results supported the hypothesis that the higher the fertilizer level, the higher the phytoplankton growth. 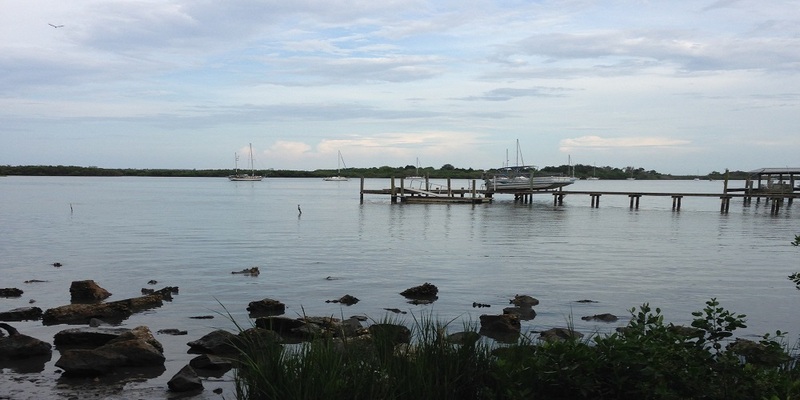 There is still much work to be done to ensure the healthy future of the Indian River Lagoon. The first step, I believe, is to make the community aware of the pollution they could be causing from fertilizer. Much of the beautiful green grass in peoples’ backyards is a result of the boost of minerals from fertilizer. Common Florida rainfalls contribute to the daily fertilizer runoff into the water. Luckily, laws introduced have stopped the use of fertilizers during summer months in some parts of Florida on the lagoon, but only if people listen to them. These laws do not prohibit the use of insecticide or herbicide, which do cause plant and animal death. It is necessary to make people aware of these laws to conserve the health of our surrounding environment. Editor's Note: Katie Croom is an inaugural EarthEcho Water Challenge Ambassador, a group of young leaders working to engage their communities in water quality monitoring and conservation efforts while increasing their knowledge of water science and gaining skills to expand their work in this field. To learn how you can join Katie in taking action to protect waterways in your community, check out our EarthEcho Water Challenge resources.